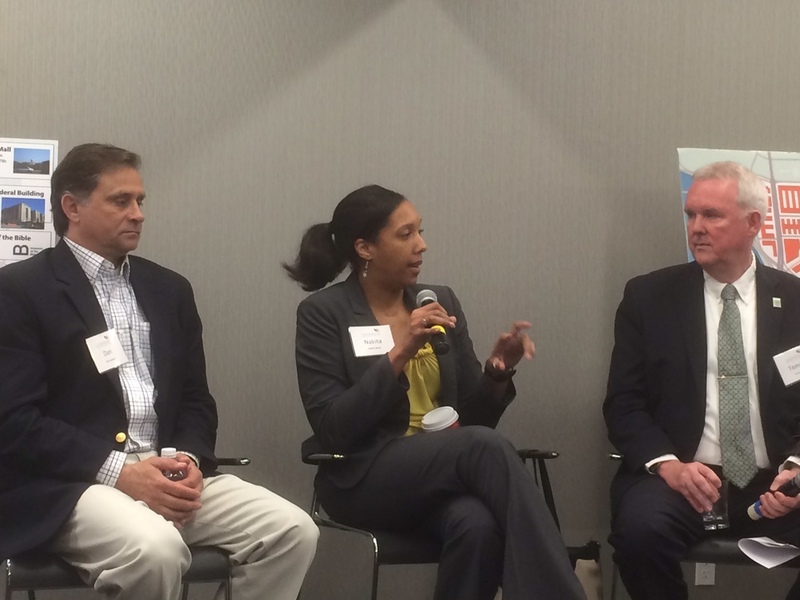 We love this photo of Nakita Reed speaking at the Leadership Greater Washington event! This all day environmental sustainability event was held at The Wharf in DC on May 19, 2016. Nakita spoke to attendees about the 3 P’s of sustainability, which are Place, People, and Profit. Dan Jackson, sitting left of Nakita and Tommy Wells, sitting to the right, presented as well.